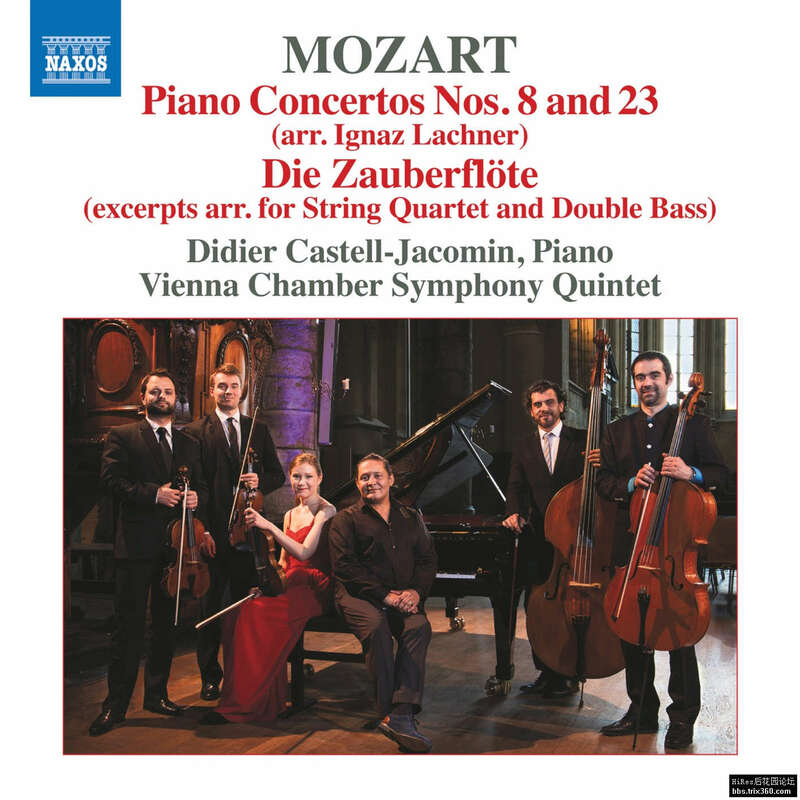 So greatly did Ignaz Lachner venerate Mozart that he arranged twelve of the 27 piano concertos for performance by small ensembles. 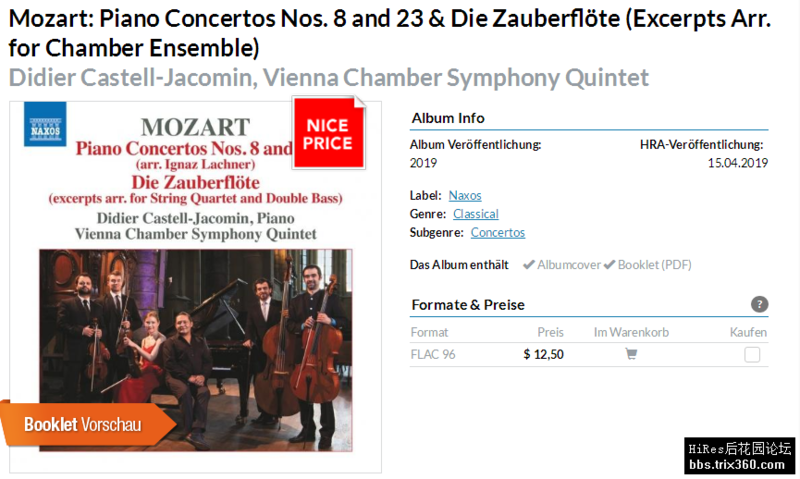 Lachner, who had known Schubert in Vienna and had met Beethoven, was superbly equipped for these arrangements ensuring that the string quintet of soloists, with the double bass largely doubling the cello role, sounds thoroughly idiomatic. The three selected works represent the different sized orchestras Mozart employed, K. 246 being the most lightly scored, and K. 488 the most complex. The anonymous arrangement of excerpts from Die Zauberflöte proves equally vital and attractive. 05. Die Zauberflöte, K. 620 (Excerpts) [Arr. for Strings]: Zu Hilfe, zu Hilfe!